Eating KFC is always FUN. Having a transformer gift is really cool! 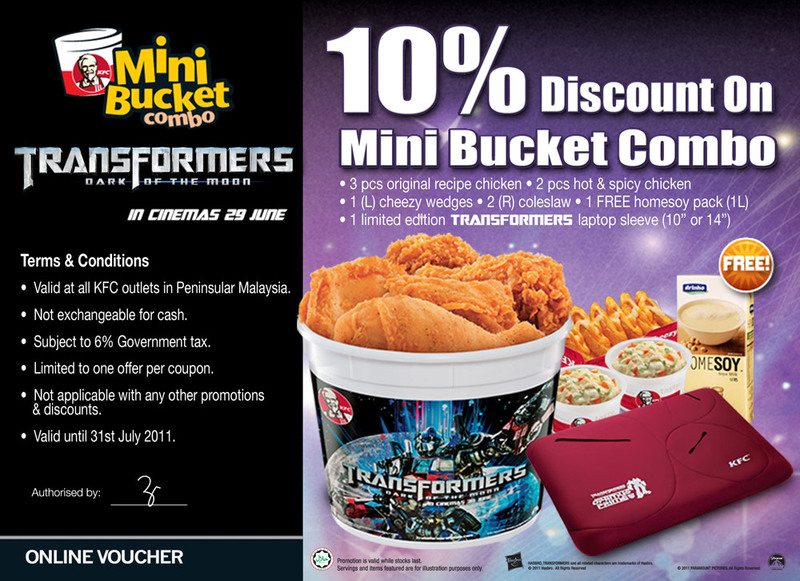 Having another 10% discount on my KFC meal + free transformer gift is simply FANTABULOUS! 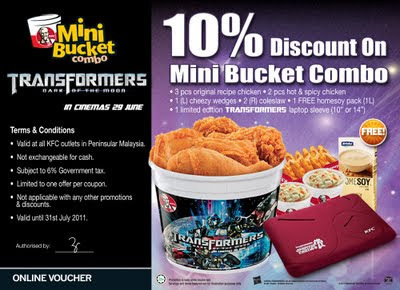 Print out this online KFC online voucher and enjoy a 10% discount on mini bucket combo + 1 very cool limited edition TRANSFORMERS laptop sleeve (10" or 14")! Facebook can help your SPM exam? Vote your favourite Malaysian homemade band!! It's that time of the year again… Mega Sale Carnival! !